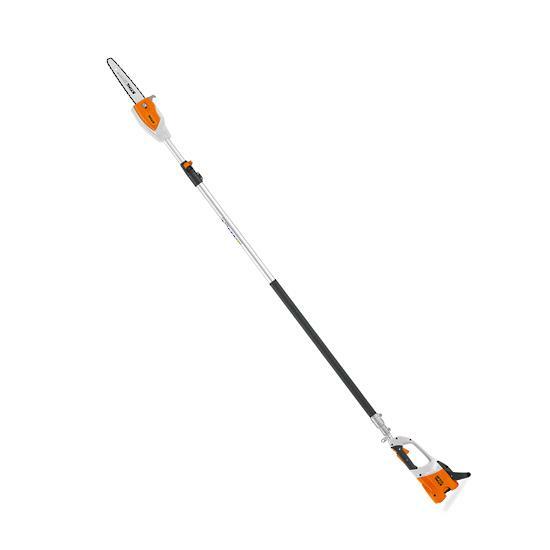 Stihl battery powered 36v telescoping pole pruner with 12" cutting bar and 1 battery and charger. Stihl HTA85 Pruner with an AL300 fast charger and AP180 36 volt high capacity Lithium-Ion allows up to 35 minutes run time then 40/70 minutes recharge cycle @ 80-100%. * Please call us for any questions on our pruner bat power 8 foot 2 inch 12 foot pole 12 inch bar rentals in Portland OR, Gresham OR, Milwaukee OR, and surrounding metro area.